EBS 2018 - what can you expect? The world is undergoing a profound, multidimensional transformation. Clean, digital and ethical are some of the key words driving reforms in all areas of our lives. 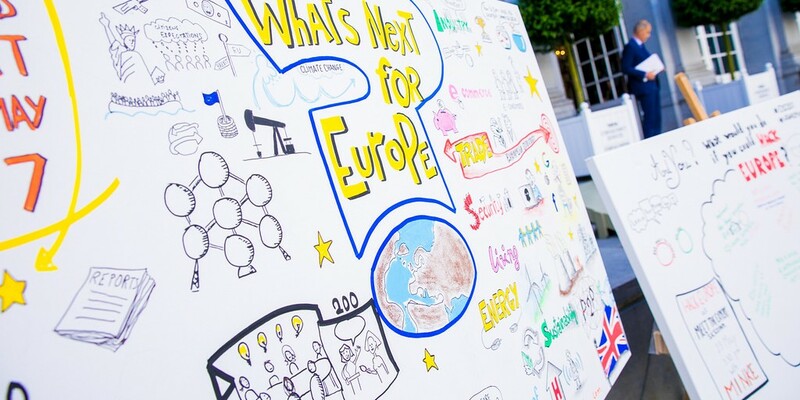 While the European Union strives to adapt to this changing environment this year’s European Business Summit will aim to stimulate the debate on how it can become a true global leader of this process. 1. Europe as a global economic leader - from CSR Europe's Summit on SDGs to Roundtables on e-commerce, clean transport and strategy for plastics to Agora and Meet the Expert sessions on young entrepreneurs, digital ethics and macroeconomic outlook for Europe EBS 2018 will stimulate the debate on Europe's key role in the global economy. 2. Trade opportunities in an uncertain environment - with several major trade agreements already completed and further negotiations underway the EBS 2018 will explore EU's new trade opportunities and future trade relations with the UK. Other issues impacting trade opportunities, such as the Brussels International Business Court, data protection, cryptocurrency, blockchain and digital banking will also be discussed. 3. EU governance and leadership in a changing world - in order to lead by example the EU needs to ensure constant development of its internal system. Topics such as EU Taxation policy and innovation will play a major role during this year's roundtables while Agora and Meet the Expert sessions will give our participants a chance to learn more about European Defence, euro-area governance and the introduction of basic income.